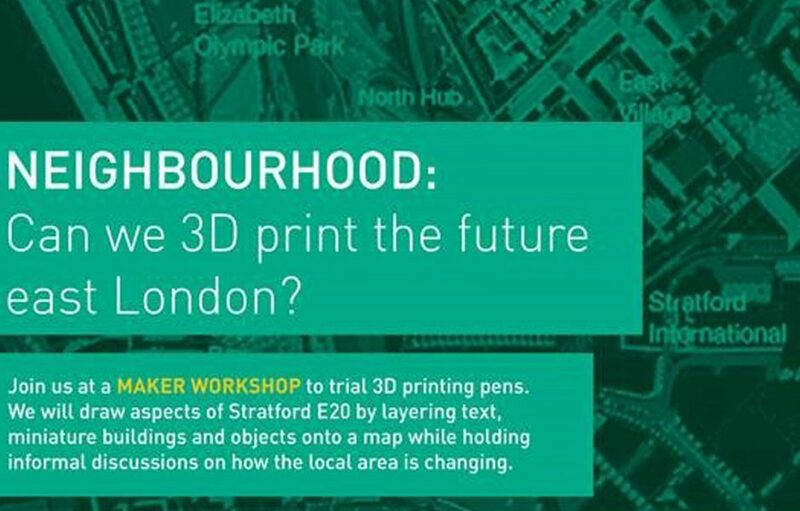 On Wednesdays this April, come along to our campus between 3pm-5.30pm to find out more about 3D printing at the ‘Neighbourhood: can we 3D print the future east London?’ workshops. These sessions are taking place on 17 April and 24 April. Everyone is welcome to come along and can join in at any time!